If you ask me why I would recommend the quartz watch for man, I would love to stress that the quartz watch could be taken good care of with simple steps. And it is of high accuracy and light weight. However, the battery of the quartz watch could only last for about 1-2 years. 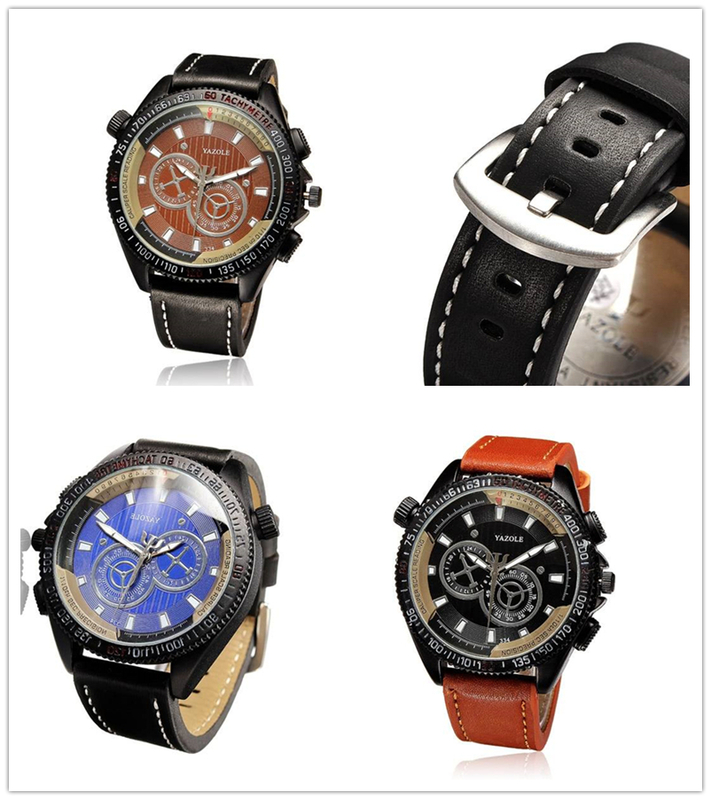 However, today, we are going to show you the quartz watches for man. 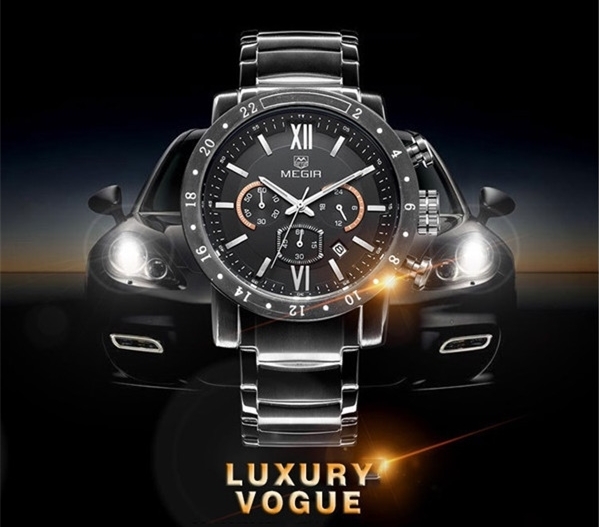 This one is made of high quality stainless steel, and it does look wonderful for man. In addition, this is wonderful with the imported quartz movement, luminous pointers, and three small dials inspired by the racing car design. As for styling with casual clothing, the watch with leather bands might be the greatest option for man. And this one looks a little bit tougher than the typical leather watch. 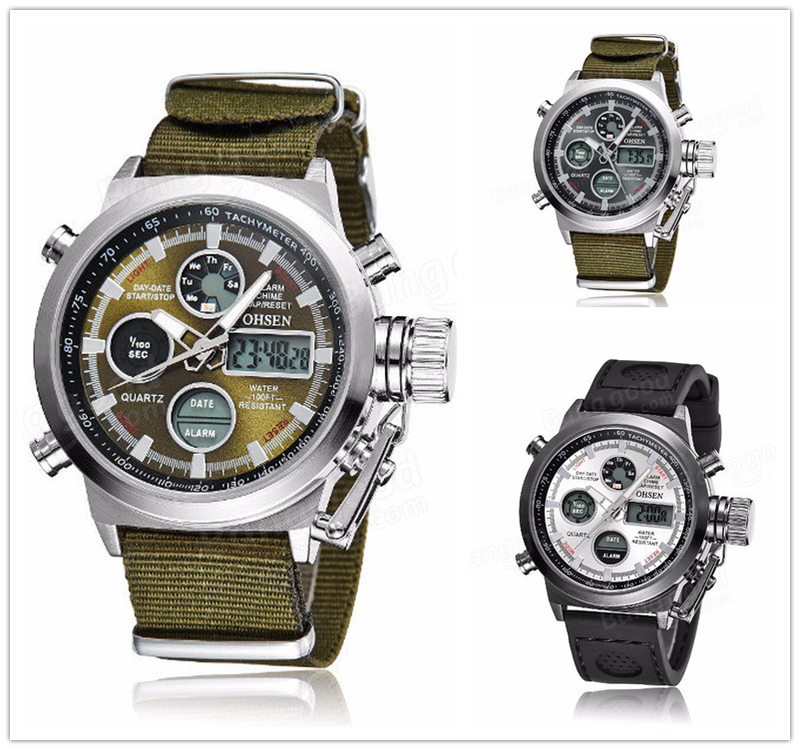 If you are looking for watch which is made especially for sport activities, you should take this into account. And the one in army green is quite trendy for wearing.